If you are excited to see Gwadar transform from a random settlement of fishers to one of the world’s best and most active port cities, you must also know that property rates here are currently dirt cheap. Some people believe that investing here today would be too early, as Gwadar will take many more years to be in a shape to offer healthy returns. That could be partly true, but the question is: would property rates remain the same by then? I highly doubt that. Due to all factors such as the launch of new projects, initiation of development work, inauguration of the completed projects and the addition of more countries to the list of states showing interest in becoming a part of this project that’s set to change the economic game in the region, demand for property in Gwadar has gone up! And at the rate property prices are rising in the city, real estate will not remain very affordable here in the time to come! This explains why there exists a certain rush among people to buy property in different projects in the city. At Zameen.com property expos recently held in Lahore and Islamabad, we met investors and genuine buyers highly interested in retrieving information from the developers marketing their projects in Gwadar. In fact, several developers closed on-the-spot deals for their projects in the port city during these two expos. Seeing this massive rise in demand for land in Gwadar, the Gwadar Development Authority (GDA) has felt the need to revise the city’s master plan. In this regard, foreign consultants will be hired by the authority. 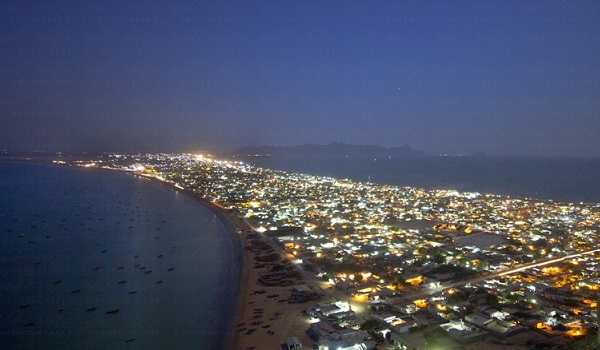 The federal government has informed the Government of Baluchistan in writing about the detailed micro-planning of the city in accordance with its future plans to make Gwadar a mega port city of Pakistan. Responding to this requirement, the GDA has put a complete ban on all kinds of land allotments, mutations, transfers and transactions for 3 months. In addition to that and for the same reason, the GDA has also stopped issuing NOCs for residential, commercial, industrial and mixed-use projects for 6 months. Similarly, a 6-month ban has been imposed on land-development permits in Gwadar. Furthermore, all pending cases in revenue courts for Gwadar tehsil will remain adjourned until the finalization of the city’s master plan. The Baluchistan Board of Revenue has also noticed that the land mafia is busy in luring innocent people into buying land in Gwadar at an expensive rate. Incidents of selling land in far-off locations in Baluchistan have also been reported. This suggests that investigations may be carried out against fraudulent elements, while property transactions and allotments remain on a halt in Gwadar.